JN digital archive to reside at U-M in perpetuity. A copy of the digital archive containing the entire contents of the Detroit Jewish News and its predecessor publication, comprising more than 330,000 pages and spanning over 100 years, will be housed in perpetuity at the University of Michigan and be available to the public free of charge on its servers. The announcement was made during the Detroit Jewish News Foundation-sponsored May 3 event at Congregation Shaarey Zedek in Southfield celebrating the 75th anniversary of the Jewish News. The William Davidson Digital Archive of Jewish Detroit history is expected to be fully operational on the university’s servers and platform this summer. It will be similar to the archive’s current platform, which provides fast, free Google-style search capabilities. The archive comprises content from the Jewish News since its first edition on March 27, 1942, as well as the Jewish Chronicle, which published from 1916 until it was purchased by the Jewish News in 1951. “As director of the University of Michigan’s Bentley Historical Library, I speak for the entire staff when I tell you we are extremely pleased and excited that the library will be the home of the archives in the near future,” said Terrence J. McDonald, the Arthur F. Thurnau Professor of History and Bentley director. “We are committed to preserving this history and providing our researchers and the public continued access to this wonderful archive. The archive will continue to grow at the University of Michigan, with the newest editions of the Jewish News to be added. Also, content from Jewish News digital platforms, including its website, will be captured. Among those present for the announcement were University of Michigan President Mark Schlissel and Professor McDonald. Horwitz shared with the audience that the vision for protecting, digitizing and making freely available the contents of the Jewish News emerged after a January 2002 fire that destroyed the company’s Southfield office. Almost all the back issues were salvageable after the fire, and back-up microfilm of the issues also existed. 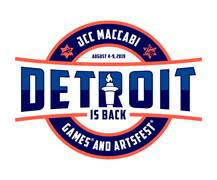 In July 2011, the independent Detroit Jewish News Foundation received nonprofit status. In 2012, its board of directors decided its first initiative would be to protect and digitize the entire contents of the Jewish News. The digital archive launched in November 2013. 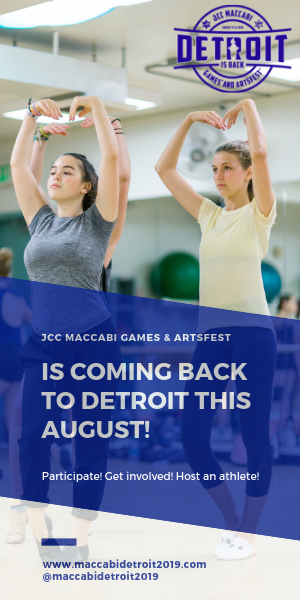 In 2014, the digitized contents of the Jewish Chronicle were added to the site and it was named the William Davidson Digital Archive of Jewish Detroit History in recognition of an endowment gift from the William Davidson Foundation. In 2017, more than 16,000 users accessed the almost 250,000 pages of content in the archive. “We’re standing on the shoulders of those who came before us. The digital archive assures the story of our community, and the myriad individuals and families who continue to shape it, is always at our fingertips,” Horwitz added.